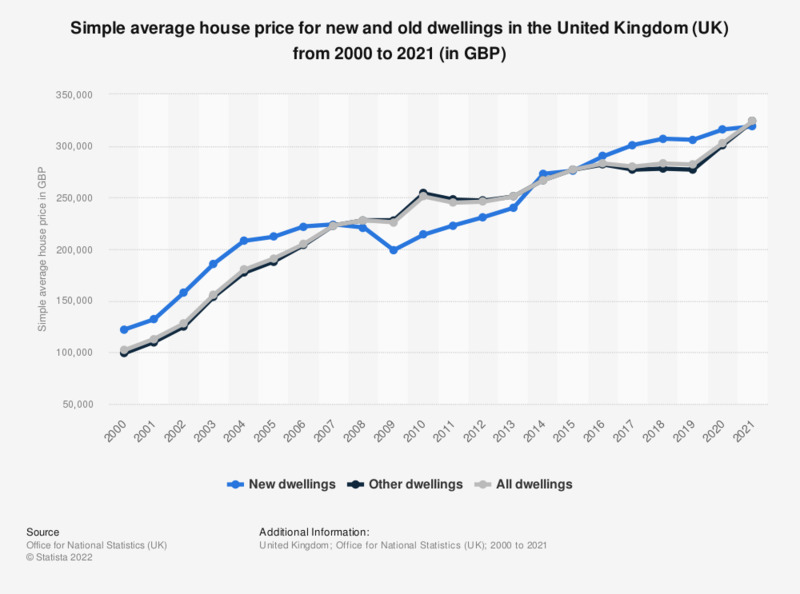 This statistic illustrates the price of dwelling units in the United Kingdom from 1990 to 2017. It can be seen that the simple average house price of all dwellings increased overall during the period under observation, reaching a value of 280 thousand British pounds as of 2017. The smallest value for the price of all dwellings since 2010 was found in 2011, when an average price of all dwellings of 245 thousand British pounds was recorded. Everything On "Housing market in the United Kingdom" in One Document: Edited and Divided into Handy Chapters. Including Detailed References. Average property price in the U.S.